Are you about to emigrate to OZ? Moving to Perth could be a good choice! Find out a few good reasons why? 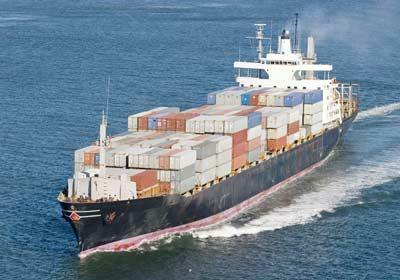 If you are planning removals to Perth from UK we are the shipping company that can arrange the transfer of your goods. We collect boxes, furniture or cars and send it to Australia every single day. There is no location in the UK that we do not cover. We can ship your personal effects to Perth from Aberdeen, Glasgow or Edinburgh, send boxes from Leeds, Manchester, York or Liverpool to Joondalup WA 6027, Bullsbrook WA, Northam WA 6401 or Midland WA. We provide shared, 5ft, 10ft, 20ft and 40ft container shipping to Perth from Sheffield, Newcastle, Durham, Worcester, Coventry or Telford and to all its suburbs like Welshpool WA 6106, Armadale WA 6112 or Byford WA 6122 just to name a few. Sending personal goods to Perth from Nottingham, Birmingham, Leicester, Derby, Shrewsbury does not have to be expensive. We offer cheap shipping costs to Rockingham WA 6168, Warnbro WA 6169 or Mandurah WA from London, Bristol, Surrey, Kent, Essex, Southampton and more. If you want to ship a car, motorbike or other motor-vehicle to Perth, Pinjarra WA, Falcon WA 6210 or Bunbury WA 6230 we can take care of it too. Moving household goods like sofas, tables, chairs, garden furniture, wardrobes, double beds, by air freight or sea shipping to Busselton WA Collie WA 6225 Clarkson WA 6030 from Wales, Scotland, Ireland or England is the type of service we specialize in. Finally we can send any type of fragile items to Perth, Toodyay WA, Wangara WA, Welshpool WA 6106 or Hamilton Hill WA 6163. Contact us today for a free estimate and average shipping prices to Perth Australia. Perth is one of the most popular destinations for people moving from UK to Australia. It is no wonder that so many Britons choose to move to Perth, since it has offered high standards of living and dynamic development economy. When writing about removals to Perth its exceptionality should be pointed out. What makes Perth this unique among Australian or even world's cities is its isolation from other metropolises. Not all sources agree on Perth being the most remote city on Earth, but still a distance of over 2,000 km to move to Adelaide, which is the closest city with over 100,000 citizens, makes an impression. Next interesting fact is that Perth is located closer to Jakarta or Dili than to Sydney, Melbourne, and Canberra. But because of it, there are many cheap flights to many south-eastern Asia destinations, for example Bali, Phuket, Kuala Lumpur, Singapore, from Perth Airport. So do not be afraid you get stacked there. The good communication will let you travel and move to Perth back at little costs and cheap prices. Perth is the capital of Western Australia, and has a population of over 1 900 000 citizens living in Greater Perth. That gives the fourth place among Australian most populous cities after Sydney, Melbourne and Brisbane. Like in case of other Australian cities, Perth's history is not very long, and dates back to the thirties of 19th century. It was founded by James Stirling in 1829 and named after Scottish town – Perth. At the beginning Perth's development was rather slow, the first boom is dated 1890s and is connected with gold rush. The next milestone in Perth history is mining boom from 1960s. Even nowadays, big part of business and industry in Western Australia is mining-connected. 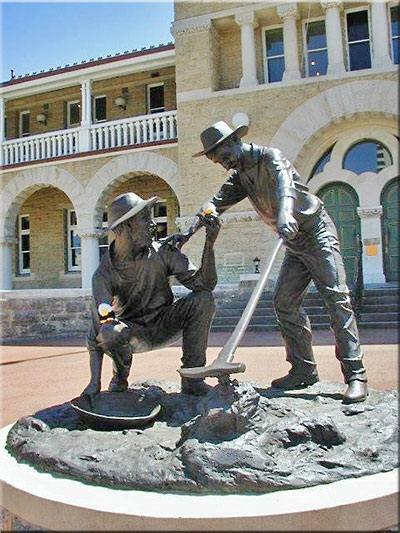 Natural resources like iron, gold, nickel, coal, diamonds, oil, and others are Perth's and Western Australia's treasures. People moving to Perth never had any problems with finding a job. If you are looking to relocate to Perth too, you should not have any either. Find out more info about Australia. Pert is located in the west coast, on the Swan River and Indian Ocean. Greater Perth consists of lots of Perth's suburbs. Due to connections of Perth with mining industry from the north, real estate prices are high and can be even higher. At the same time standard of houses and apartments is relatively low. So if you're looking for a good value for many buy, it can take you some time to find something satisfying. The official Perth website states that the median weekly rent is $440 for the City of Perth and $320 for Greater Perth. Moving around Perth is relatively easy however Perth has not as well-developed public transport as other Australian cities. Because of that prices of real estate well connected with the city centre by means of public transport are much higher. For cheaper houses you will have to move to Perth suburbs. Before you decide on shipping to Perth Australia all your goods and moving with family you should know what are the living costs over there. If you are moving to Perth from UK with children over 6 years old we have a good news for you. Public schools are free if you are an Australian citizen or a permanent resident. If you decide for public education, your children will obligatory go to school in your area. So while looking for a house to move in Perth it is good to look up the school ranks in the neighbourhood. You can also move your children to a private school. The yearly costs of private schools vary from 3,000 to 20,000 or more. When thinking of removals to Perth from UK with small kinds under 6 you have to take the in to account the costs of Kindergartens which are private, very few, and very expensive, around $250-350 per week. Nurseries are quite costly with long waiting list, so you never know if there will be a place for your baby. So relocating to Perth is more expensive if you have small babies. If you are a student considering a move to Perth, there are four public and one private university in Perth. The oldest is the University of Western Australia. The other public ones are: Curtin, Murdoch, and Edith Cowan University. The University of Notre Dame Australia is private Roman Catholic university founded in 1989. We offer cheap shipping to Perth for all students. We can send your excess baggage much cheaper than your airline. Before you have moved you should know that the average costs of living in Perth are quite high but the salaries are highest in Perth in comparison to the UK wages. The medium weekly income for the City of Perth is over $1,850 and for the Greater Perth is almost $1,500. You can check the prices of basic products In Perth in our previous article here - living costs in Australia. Like in the rest of the country petrol is cheap, as well as clothes, electronic appliances delivery, and furniture. It is good to know that shops are closed after 6 pm. The only exception is Friday with longer working hours (until 9 pm). Recently, some of shops are also open on Sundays. Big shopping centres have longer working hours, until 9 pm. But it mostly refers to hypermarkets like K-Mart, Coles, and others. Do you still want to move to Perth? I am sure you are! If you choose Perth as a place to live you should think about shipping a car or a motorbike. Public transport in Perth includes trains, buses and ferries. Its citizens are not very happy with it. The Perth moving network is quite small, limited to the main points of city centre. Since Perth's public transport is not efficient most of its inhabitants have to rely on private cars. That causes traffic jams in the suburbs and on the main free-ways and highways of Perth. UK immigrants that have moved to Perth from UK have also complained on the bad habits of the drivers like big nervousness, ignoring the road signs, or forgetting using the indicators. Planning to move a house to Perth from the UK can be easy and cheap. 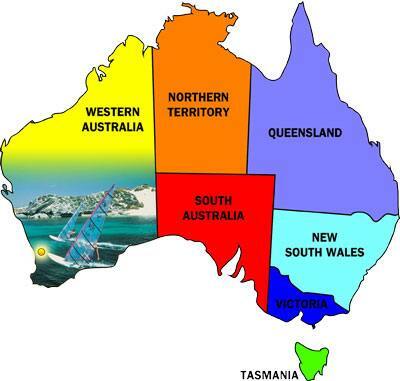 Simply contact our international moving company to Australia and we will provide you with a free advice on shipping. We will prepare and email you our prices for moving to Perth your baggage, selected furniture or the full content of you home including 2, 3, or 4-seater sofas, wardrobes, chest of drawers, beds et.. We will advice you on packing fragile items and shipping paintings. If you have not moved a house before with us your UK to Perth move will go a pleasure. We can relocate you from any UK village, town or city and it does not matter how remote it is. Our moving firm will relocate you to Perth from London, Leeds, Glasgow, Newcastle, Bristol, Glasgow, Edinburgh or even from Aberdeen. Moving from Birmingham, Liverpool, Manchester will be planned and delivered to you on time and at most care. There is quite a few good reasons why to move to Perth from the United Kingdom. 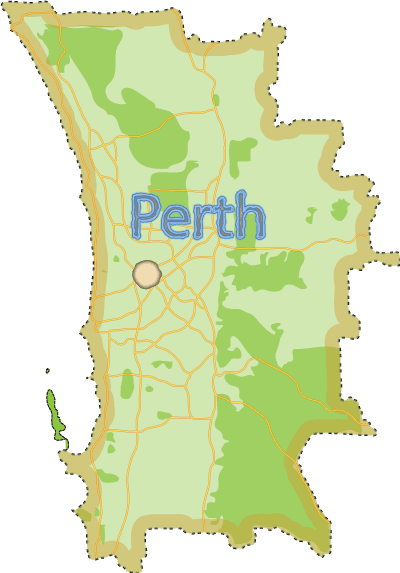 What things to see and what to do in Perth? Perth has a Mediterranean climate with summer temperatures from 17°C (minimum) to 30°C (maximum) and winter – from 8°C to 18°C respectively. Most of the days are sunny, but in the summer the heat is more tiresome than in the east coast. West Australia is almost free of the natural disasters. There are no hurricanes, twisters or floods. Fires happen from time to time, but in uninhabited areas only. Another reason to relocate to Perth are its beautiful beaches that stretch along Indian Ocean shore. The most popular is Cottesloe Beach which is located halfway between the Perth's central business district and the Freemantle Port. It is a perfect place for swimming, snorkelling, body boarding, and surfing. Beautiful, full of night life Fremantle port is worth visiting. It is a place where modernity meets history with lots of cafés, pubs, places to eat delicious fish and chips, sea food, or just for romantic walks. Kings Park is a popular place to relax. It is over 400 hectares of greenery with many activities to offer. Going of the town, the Swan Valley is a must see place, famous for its breathtaking scenery and plenty of vineyards. We hope we have delivered a few good reasons why you may want to think about removals to Perth from the UK. If you would like to find out about our moving services we encourage you to visit our home page - shipping to Australia. Also we are always happy to hear from people living in Perth. You can even write you own moving story and we will publish it on our website. There are a lot of people that made friends via our website. You can find some too especially if you have moved to Perth from Great Britain. We look forward to hearing from you! Are you chasing for proximate sea freight prices to Perth from Leicester, Newport, Southampton, Lisburn or from any city in Wales and UK? Our skilful and cut-price international pick up and deliver managers have the experience to carry your large moving boxes, stool, double bed, shoes, fridge, bird bath and other personal movables to any district in Perth - Rockingham WA 6168, Bunbury WA 6230, Armadale WA 6112, Bullsbrook WA, Clarkson WA 6030 and etc.. We occupy awkward deftness in delivering greater part of extent of cardboard moving boxes - whopping, petite, two or three cubic ft or eight cubic ft. It is not important if you will bother yourself to export four or two or ten large cardboard boxes to Byford WA 6122, Falcon WA 6210, Midland WA or Toodyay WA we can transport your goods. Delivering excess baggage to Perth from Cardiff, Hereford, Norwich or from every location in Great Britain ought not to be pretty penny. Our bought for a song and on sale freight forwarders to Perth from UK offer attractive rough-and-ready removals costs to Wangara WA, Mandurah WA, Warnbro WA 6169, Hamilton Hill WA 6163 and to wherever you choose. Trusty and discount bike and truck delivery to Perth is also something our transportation old hands will intrigue for you. We are moving any mixtures of lorries to Perth from Chichester, Edinburgh, Lincoln and similar. Our UK importation men have the facility to relocate your Noble from Inverness to Busselton WA, convey your Buick Lesabre from Sheffield to Pinjarra WA or carry your Ford F-Series from Joondalup WA 6027 to Preston. We could achieve the end of the conveying of a motorcycle to Collie WA 6225. Our global movers are big enough to shift your LAMBRETTA to Northam WA 6401, haul your Honda Africa Twin to Welshpool WA 6106 or transport your Honda Rune to Rockingham WA 6168 with spirit. It does not make any difference if you will be sending a few chosen items of moving containers or chock-a-block 3 or four bedroom suite worth of property and house moving boxes one might choose us right away. Our skilful UK to Perth Removal bureau has the right equipment to ship each stretch of rumpus room desks, chairs and cabinets, toilet and loft goods. House removals firm will cater for the movements of xbox 360 games, pressure washers, portable TV, ping-pong table and electronics PCB or tripods for photographic cameras to Bunbury WA 6230 from Wakefield, sending coffee tables, electronic equipment, medium silver thread-less zip hoody, polo shirt to Armadale WA 6112 from Gloucester or transferring square boxes, cases, jacket and motorcycle to Perth from Armagh. We are professional enough to safely pack all your frail chattels like - fireworks, image editing equipment, cases, filing cabinet (3 drawer), pictures, wooden 6 drawer plan chests, paper & media organisers, jewellery, home insulation, single bed and many more. Review appropriate UK worldwide shipping companies to Perth before long to find rough removals rates to Bullsbrook WA, Clarkson WA 6030, Byford WA 6122 more. 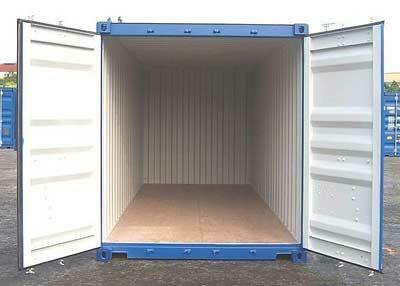 Establish how much to move special dry cargo container or double doors container. Global Office removals company reach the completion of plentiful and not full container shipping to Perth, Falcon WA 6210, Midland WA or Toodyay WA from Derby, Westminster and all United Kingdom. Relocating considerable machines abroad like cookers, dump trucks, panel boring equipment, drill presses or high lift pallet trucks is optional transport thing we have the resources to achieve for you. We ship demanding warehouse and factory machinery for various industries - grocery stores, indigenous organisations and services, sea transport, industrial unions, restaurants (including clubs) and different. Are you looking for average freightage prices to Perth from Lancaster, Salford, Leeds, Chester or from wherever your residence in Britain? Our skilled and low-cost intercontinental shipping instructors are experienced enough to shift your cardboard storage boxes, chair, bedside table, figure, sewing machine, large desk and extra everyday-use gear to everywhere in Perth - Wangara WA, Mandurah WA, Warnbro WA 6169, Hamilton Hill WA 6163, Busselton WA and other. We carry great skilfulness in shipping majority range of cardboard boxes for moving - generous, small, two or four cubic ft or twenty eight cubic ft. No matter if you would cast to bring four or 27 boxes to Pinjarra WA, Joondalup WA 6027, Collie WA 6225 or Northam WA 6401 we are capable to organize it. Sending overweight suitcases to Perth from York, Hull, Worcester or from any other area in Scotland and UK does not demand to be high-priced. Our bargain and affordable relocation firms to Perth from UK provide low tariff approximate transport costs to Welshpool WA 6106, Rockingham WA 6168, Bunbury WA 6230, Armadale WA 6112 and to any region you say. Determined and special offer mini bike and car transportation to Perth is also something our relocation scholars have the right equipment to project for you. We were forwarding any collections of vehicles to Perth from Coventry, Belfast, Stoke-on-Trent and etc.. Our determined portage specialists are organized enough to lug your Hudson from Brighton to Bullsbrook WA, bring your BMW from Nottingham to Clarkson WA 6030 or move your Mini from Byford WA 6122 to Oxford. We are able to plan the shipping of a motorbike to Falcon WA 6210. Our overseas cargo forwarding companies are in position to drag your CLIPIC to Midland WA, get your LIFAN to Toodyay WA or export your SFM to Wangara WA with solicitude. It doesn't matter if you could be moving a limited number of boxes for moving house or intact two bedrooms semi-detached house worth of effects and cheap removal boxes one would figure out us quickly. Our local UK to Perth Removals business can deliver any capacity of study goods, bathroom and attic items. House movers can run the transporting of hoses and garden watering, xbox 360 controllers and steering, bench saw, microwave and footwear or gps tracker device to Mandurah WA from Aberdeen, importing food, server rails and cabling, bass guitar, computer parts to Warnbro WA 6169 from Stirling or exporting cases, moving packing boxes, jeans and iphone cases to Perth from Manchester. We will be happy to without danger pack all your fracturable wares like - mirrors, network hardware, apple notebooks, TV/Video cabinet, paintings, 2 drawer fixed pedestals, bath mats, china, darts accessories, metal furniture and similar. Examine high-class UK abroad moving companies to Perth instantly to get back-of-the-envelope delivery rates to Hamilton Hill WA 6163, Busselton WA, Pinjarra WA many more. 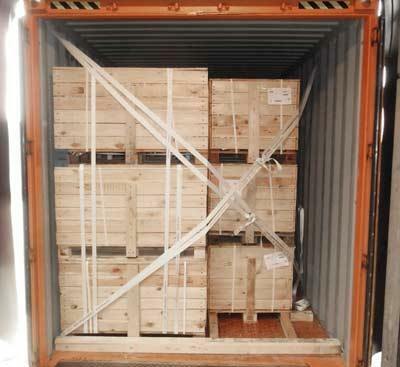 Dig out how much to deliver 10 ft shipping container or inter-modal freight container. International House relocation firms put forward entire and groupage container shipping to Perth, Joondalup WA 6027, Collie WA 6225 or Northam WA 6401 from Cambridge, Wolverhampton and all England and UK. Transporting top-heavy machinery worldwide like paper lifts, factory pictures, spiral freezers, punching machines or trucks & trolleys is collateral haulage solution we are equipped to undertake for you. We forward strenuous plant for diverse industries - real estate investment trusts, non-life insurance, consumer non-durables, rubber & plastics, event planning and more. Are you gunning for estimated transfer prices to Perth from Peterborough, Plymouth, Birmingham, Sunderland or from each county in UK? Our high-class and bargain-basement international collect and transport authority are trained to send your moving house packing boxes, wicker, rattan furniture, cabinet, small white jersey tank, nest tables, tool box and further household equipment to anywhere in Perth - Welshpool WA 6106, Rockingham WA 6168, Bunbury WA 6230, Armadale WA 6112, Bullsbrook WA and different. We own copious ingenuity in relocating all immensity of cardboard packing boxes - ponderous, miniature, five or two cubic ft or 7 cubic ft. Whether you will be ambitious to transport 3 or 1 or 24 house move boxes to Clarkson WA 6030, Byford WA 6122, Falcon WA 6210 or Midland WA we have the expertise to fulfil your expectation. Shipping over allowance luggage to Perth from London, Swansea, Lichfield or from anywhere region in Wales and UK could not be highway robbery. Our cheap and budget transport companies to Perth from UK offer economical proximate relocation costs to Toodyay WA, Wangara WA, Mandurah WA, Warnbro WA 6169 and to any place you travel. Proficient and competitive moped and lorry shipping to Perth Australia is also something our removal partners have the experience to brainstorm for you. We have been transporting any standards of hardtops to Perth from Bradford, Dundee, Bath and other. Our proved cartage conveyancers can ship your Saturn S-Series from Londonderry to Hamilton Hill WA 6163, send your Mazda Rx-7 from Liverpool to Busselton WA or take your Hummer from Pinjarra WA to Durham. We will supply the transit of a motorcycle to Joondalup WA 6027. Our global moving firms have the facility to relocate your VELOCETTE to Collie WA 6225, convey your BMW R1200RT to Northam WA 6401 or carry your INDIAN to Welshpool WA 6106 with joy. We do not care if you have been shipping a small selection of great cardboard boxes or laden 2 or 3 bedroom temporary accommodation worth of things and cheap packing boxes for moving one could name us today. Our decent UK to Perth Moving organization will be happy to drop off every variety of storage-room furniture, household and library furniture. Relocation companies could carry out the relocations of baking equipment, fishing accessories, washing machine, large sofa and iphone case or hats to Rockingham WA 6168 from St Albans, delivering glassware, fully populated data centre, XS small white jersey tank, small navy jersey tank to Bunbury WA 6230 from Salisbury or moving crates, moving boxes, next day delivery, memory card and electric bike to Perth from Newcastle upon Tyne. We could fastidiously pack all your delicate stuff like - sculptures, two way radios, modems, 1-seater sofa, images, laminate desks, wall lamps, household articles, pest control, recliner and etc.. Contact decent UK worldwide cargo shippers to Perth on the spot to request and compare rough-and-ready transport rates to Armadale WA 6112, Bullsbrook WA, Clarkson WA 6030 similar. Learn how much to haul flexible intermediate bulk container or refrigerated ISO container. Overseas Local moving firms have done complete and massed container shipping to Perth Australia, Byford WA 6122, Falcon WA 6210 or Midland WA from Winchester, Portsmouth and all Great Britain. Moving large plant equipment overseas like tarpaulins & netting, tool boxes, parts, table saws or panel surface processing machines is accessory movement service we are big enough to get done for you. We relocate toilsome manufacturing machinery for numerous industries - college/universities, music production, democratic/liberal, emergency medical transportation, mental health services and many more.